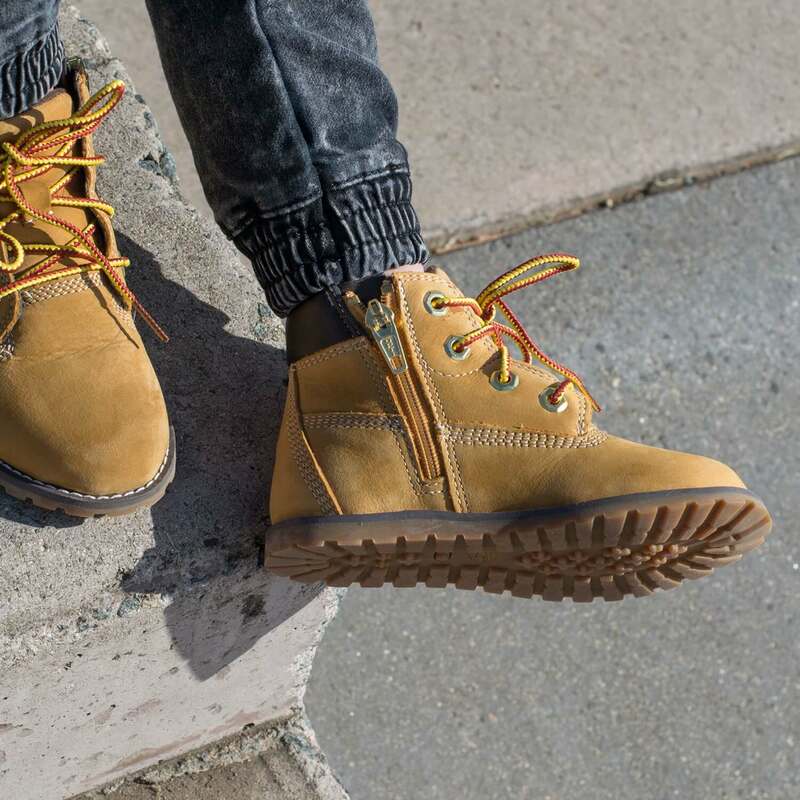 The Timberland Pokey Pine boot is your all round Winter boot that is ready to rough it. 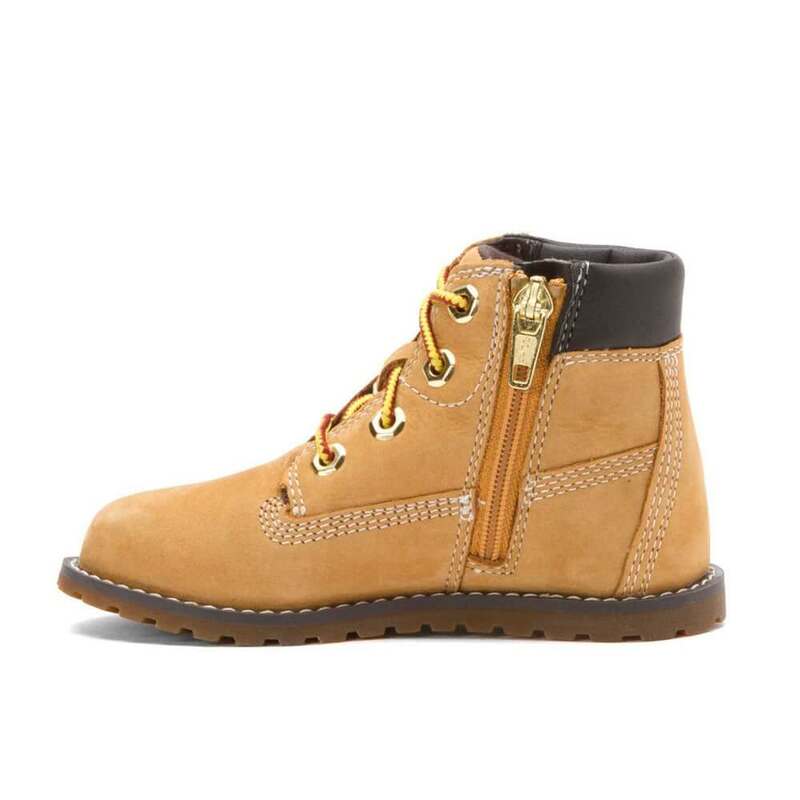 Your kid will love rockin it out, climbing up trees, swinging around the ropes with these adventure ready boots. 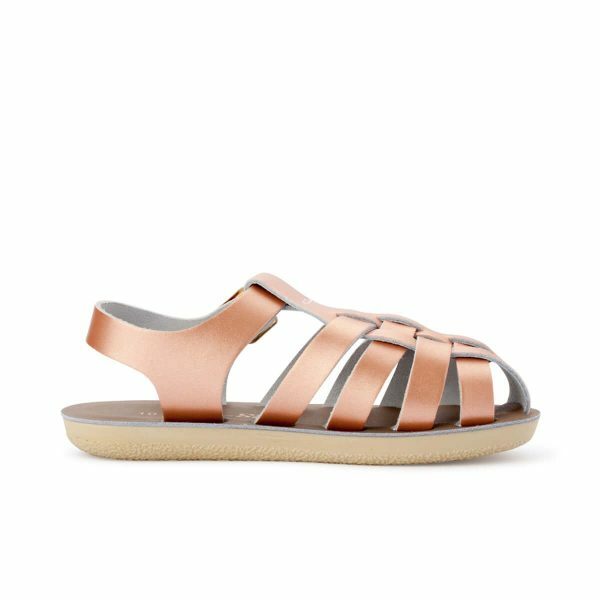 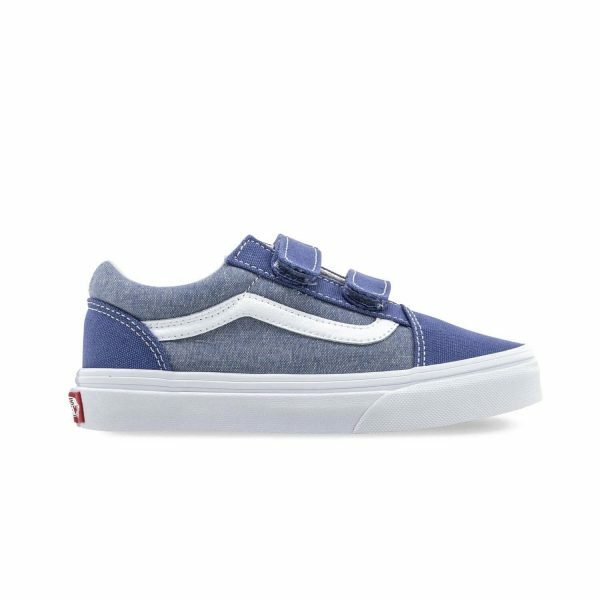 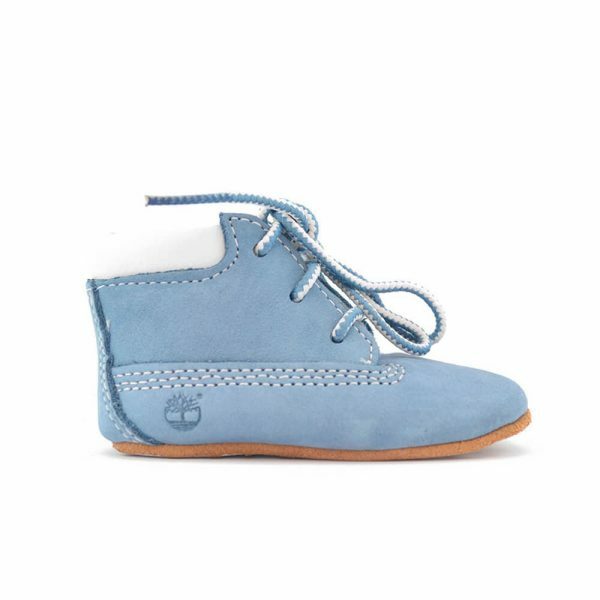 They have a nubuck leather upper that’s totally waterproof. 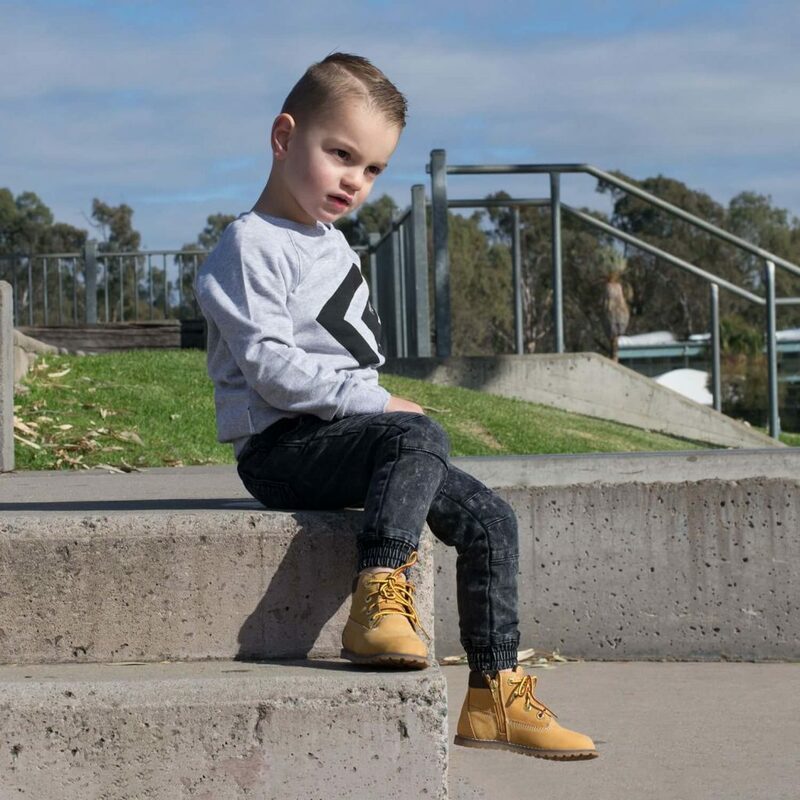 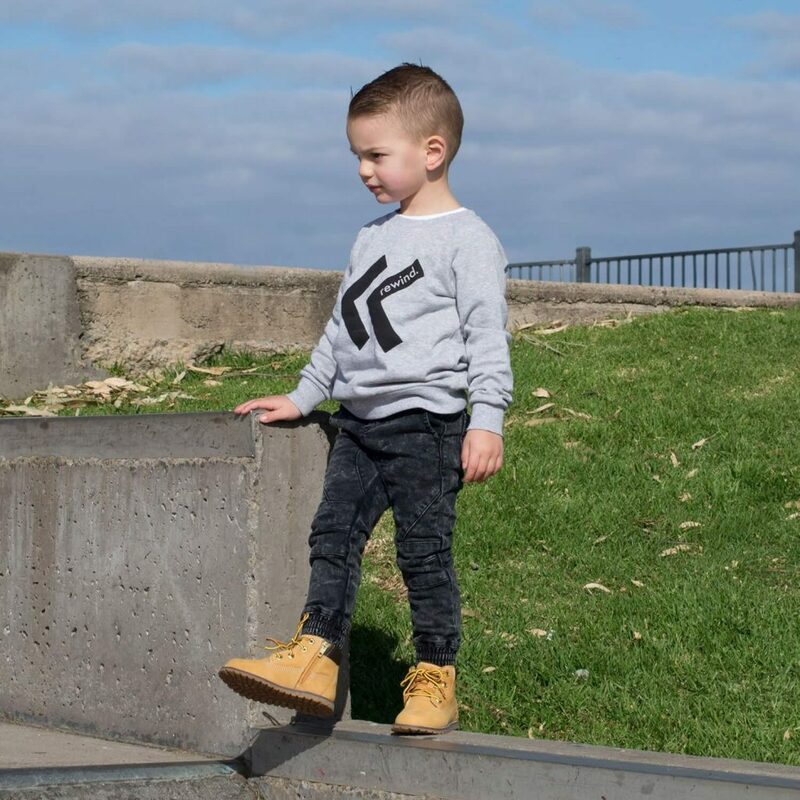 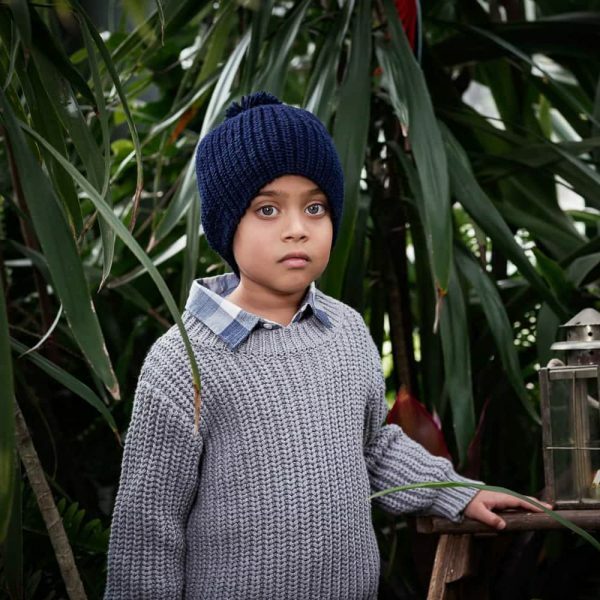 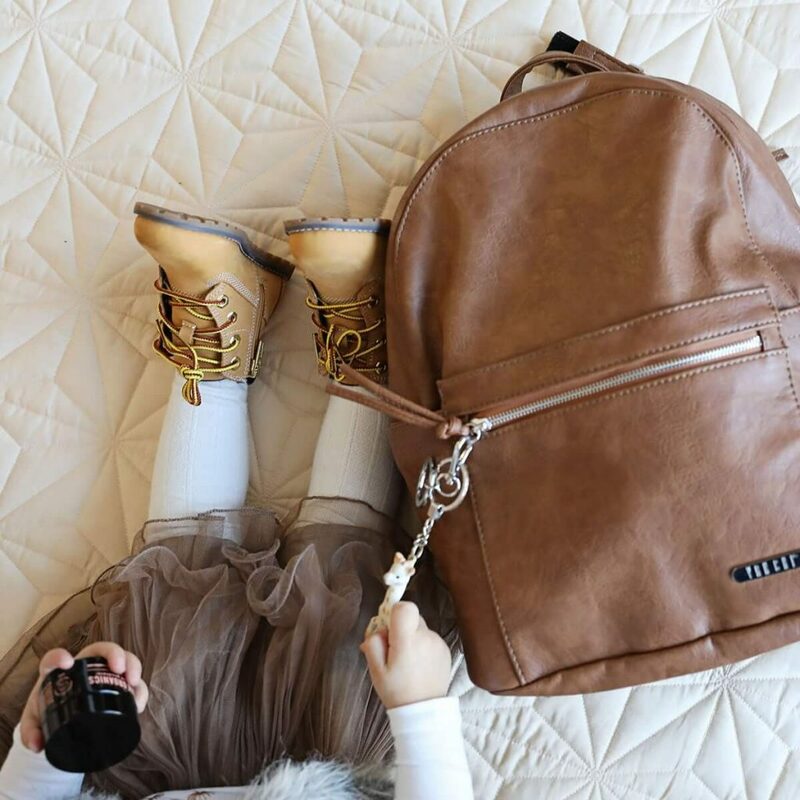 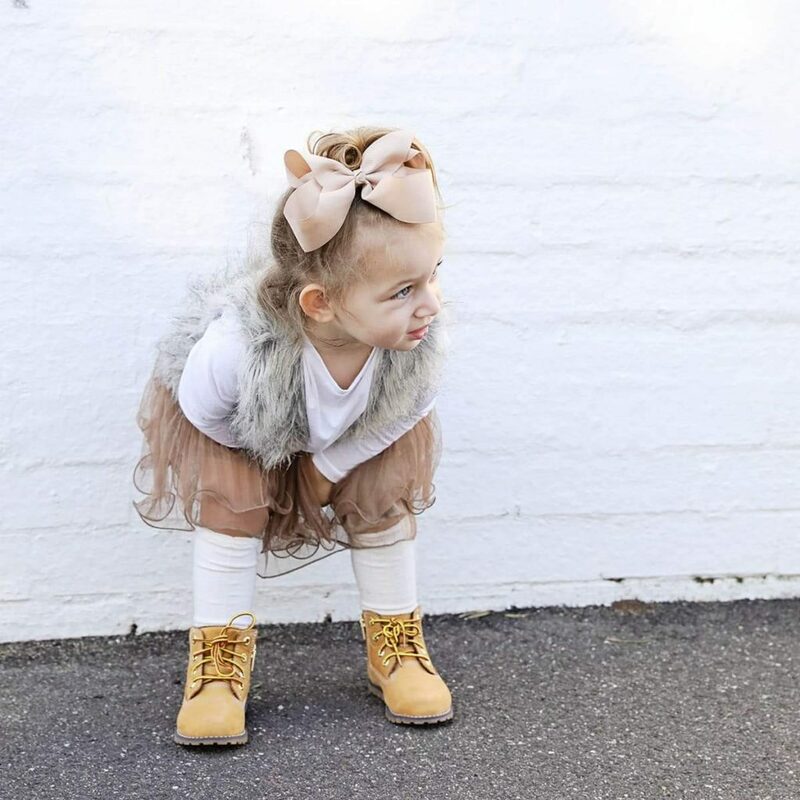 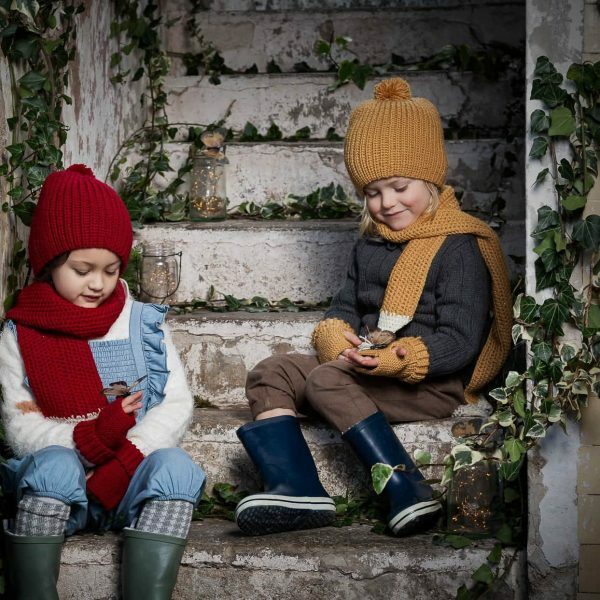 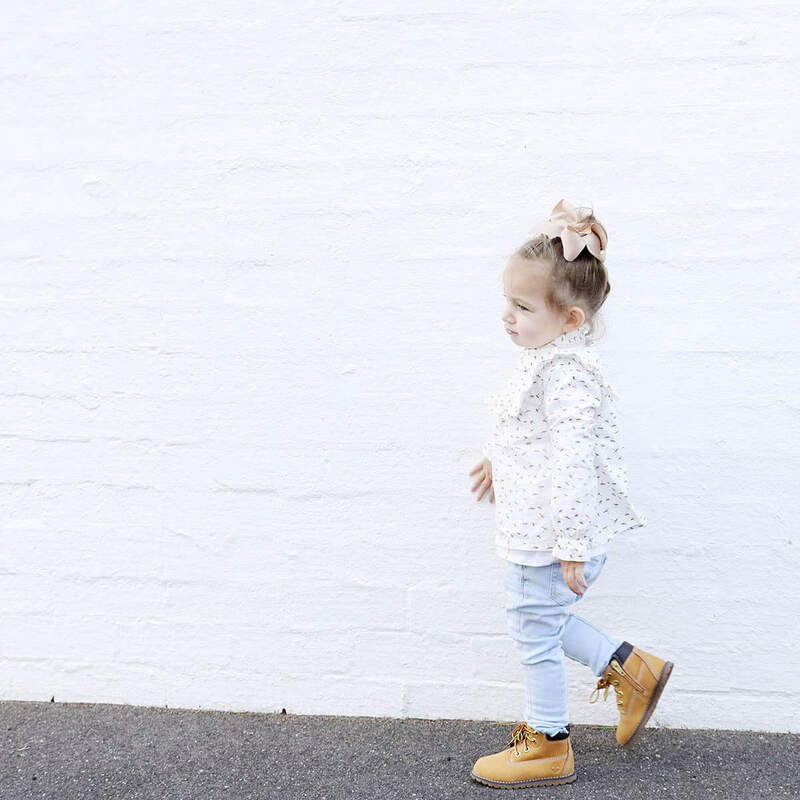 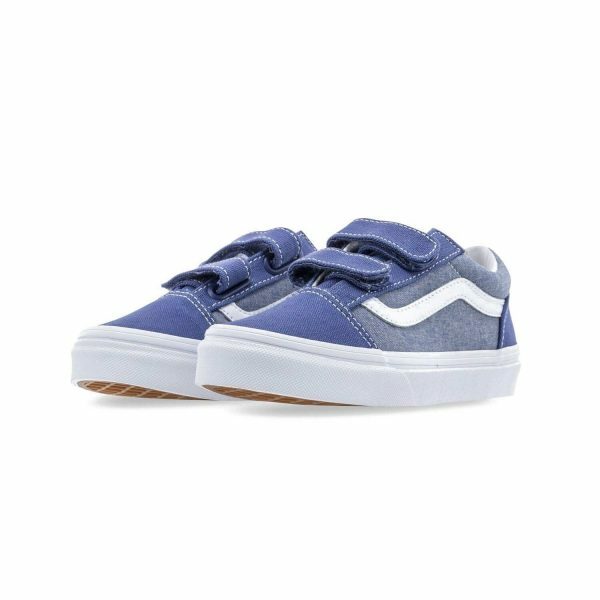 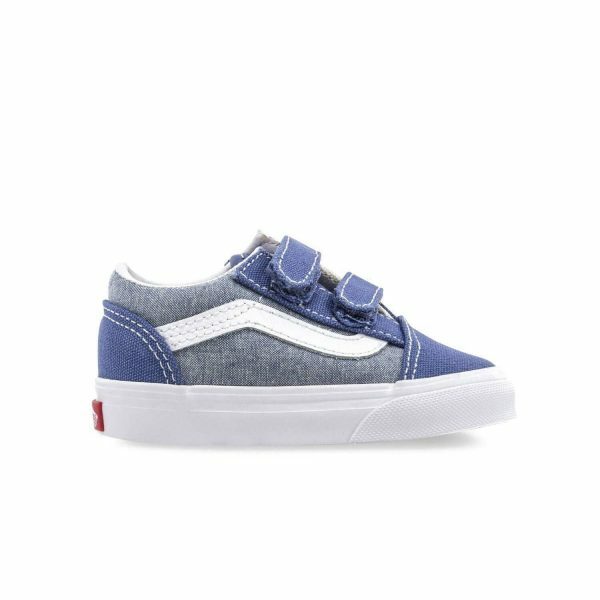 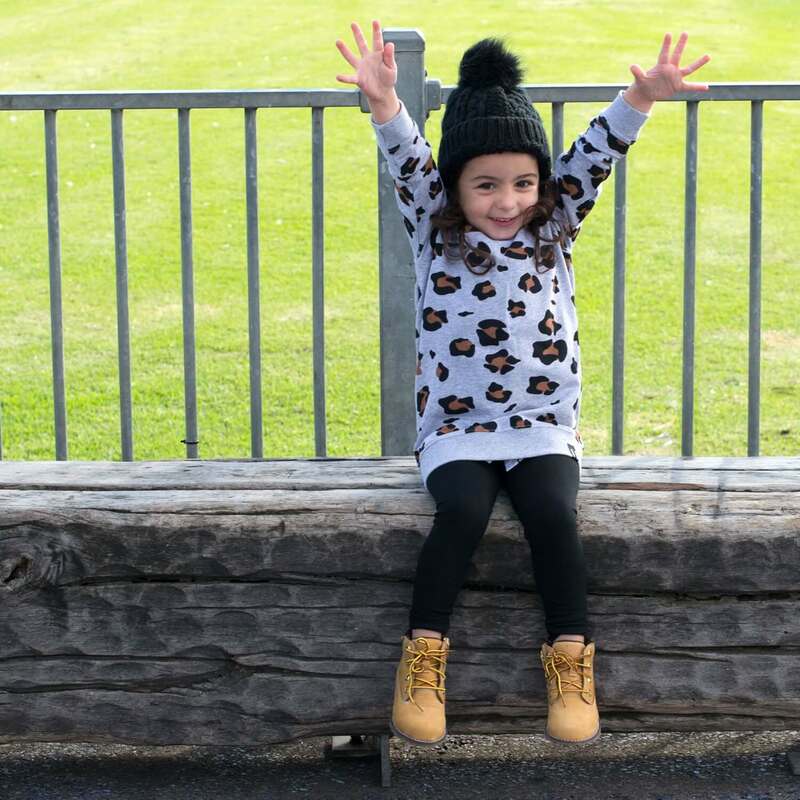 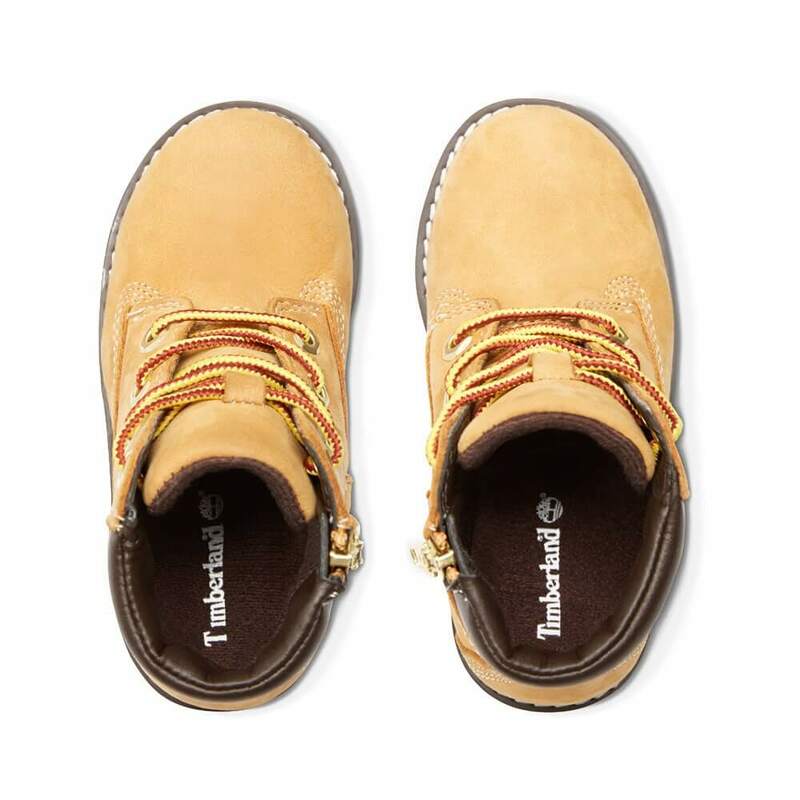 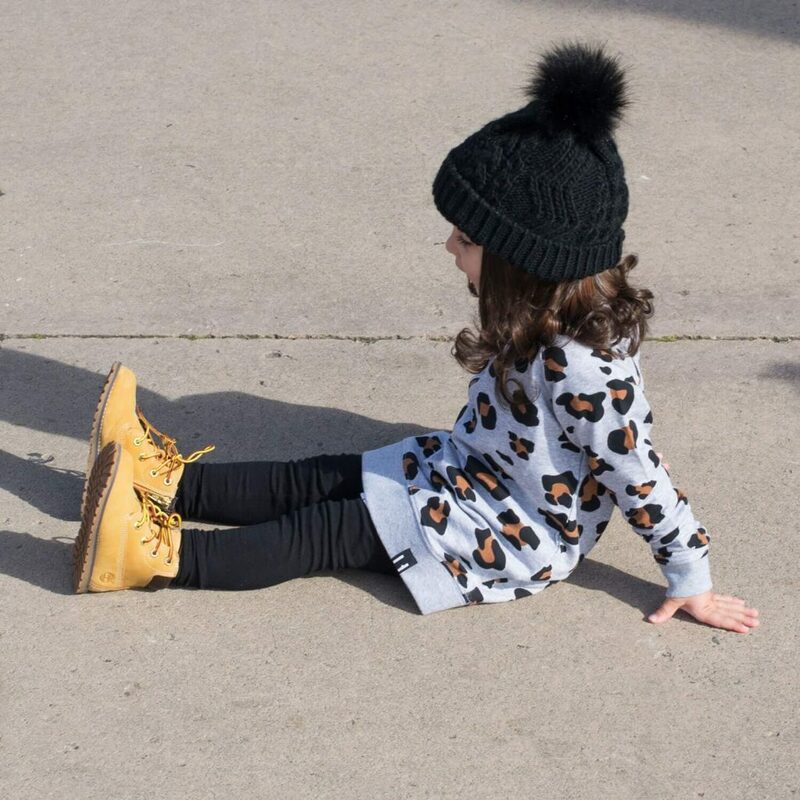 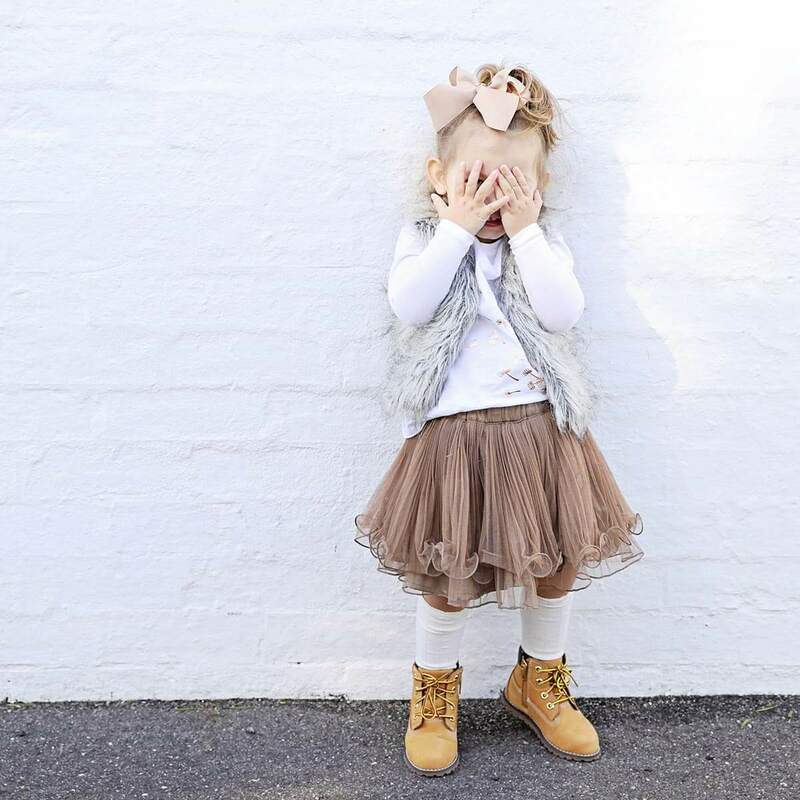 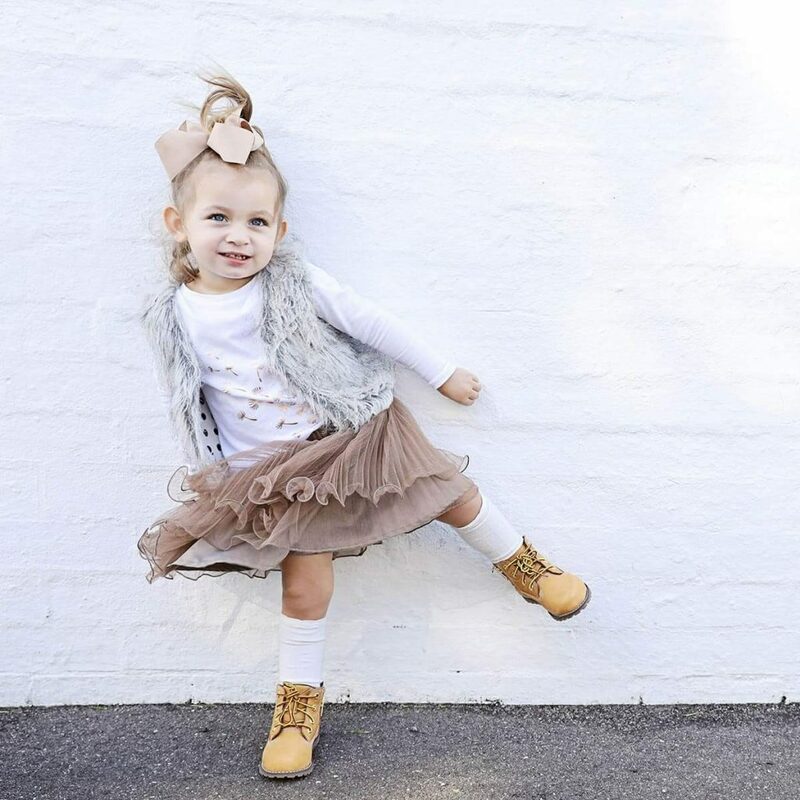 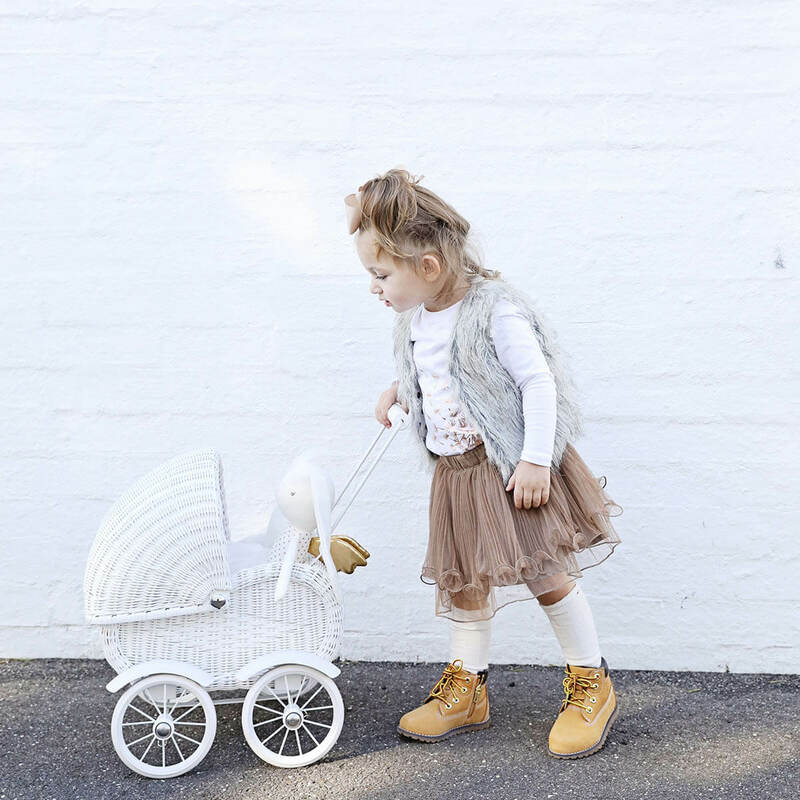 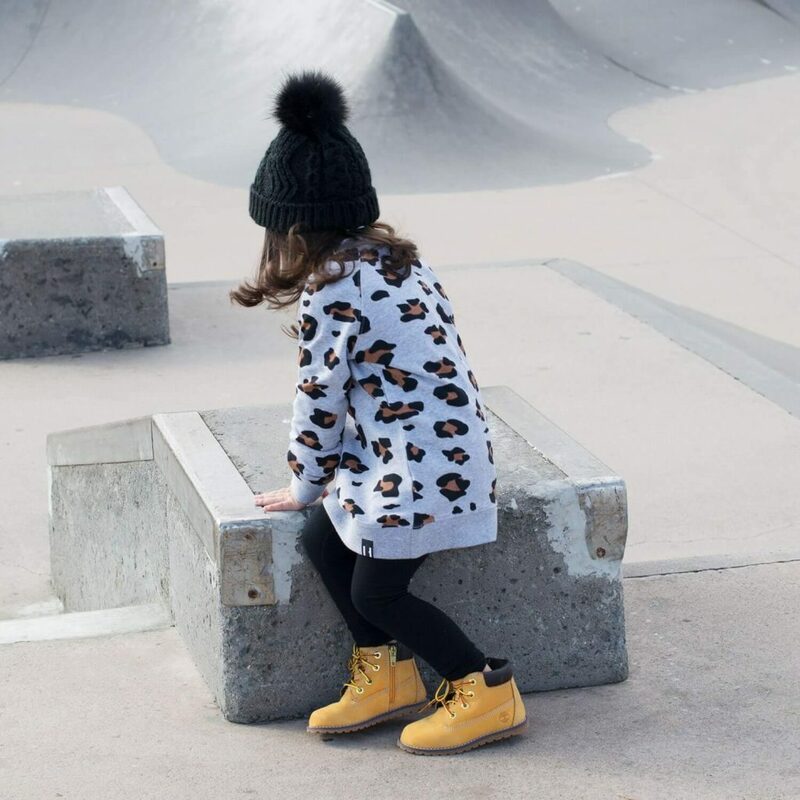 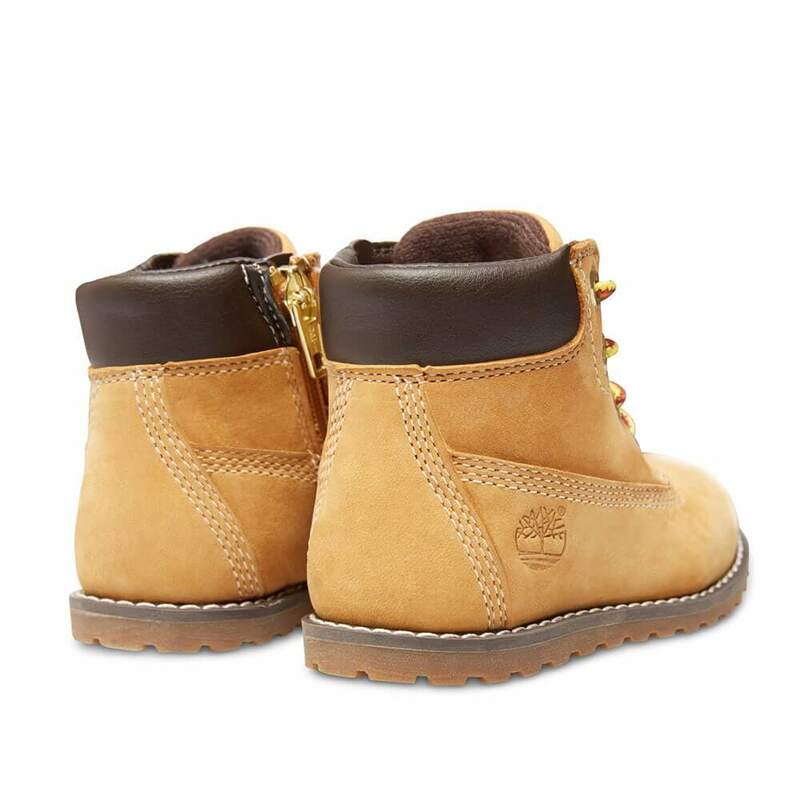 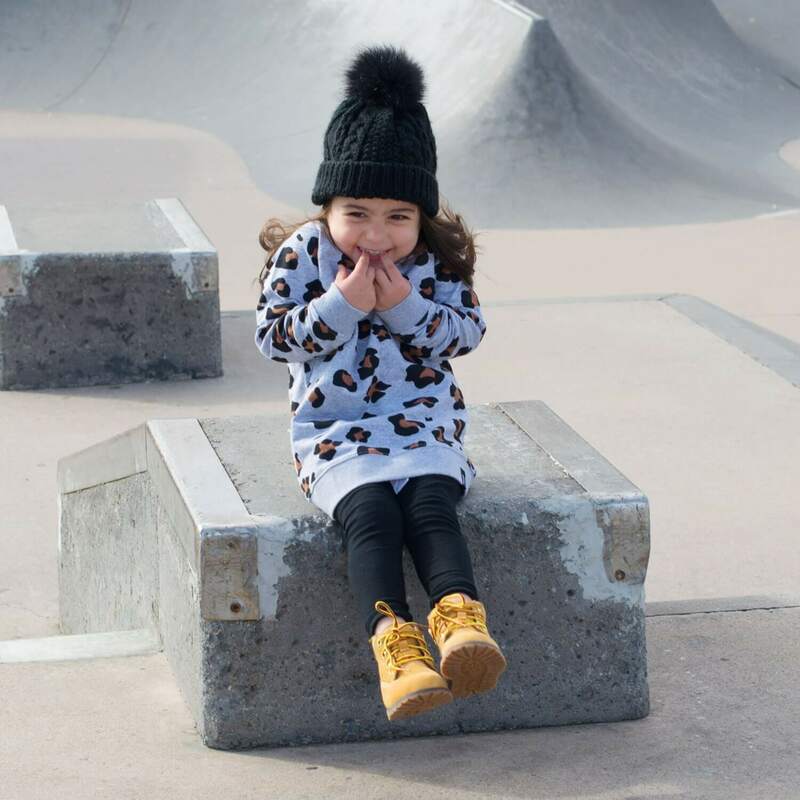 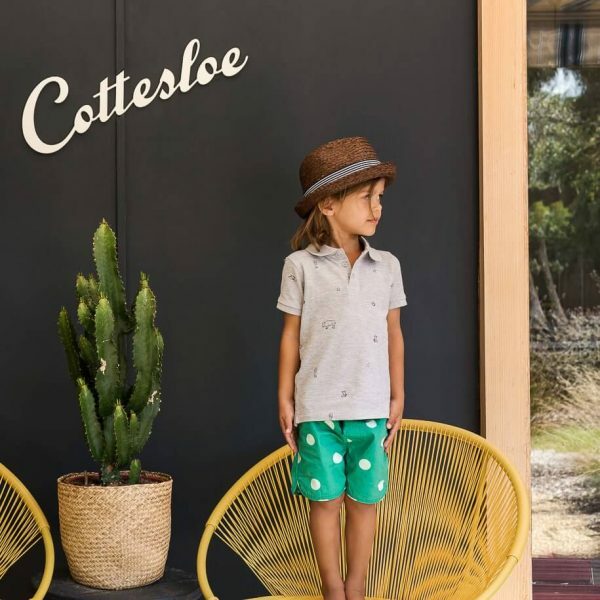 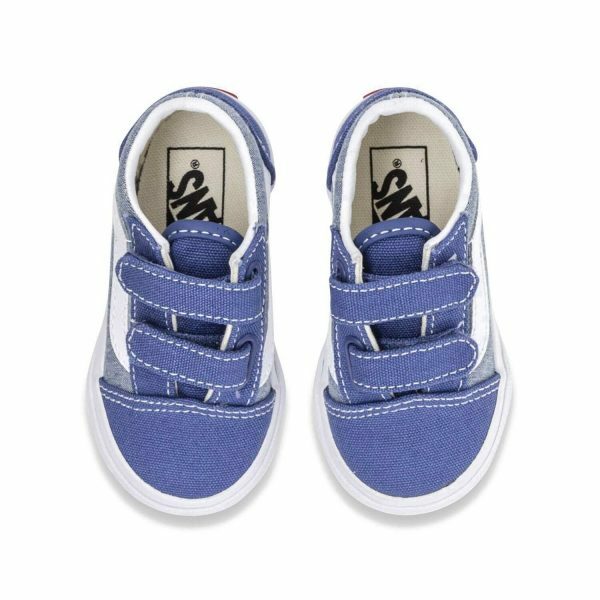 Get ready for adventure filled days in these mini Timberlands. 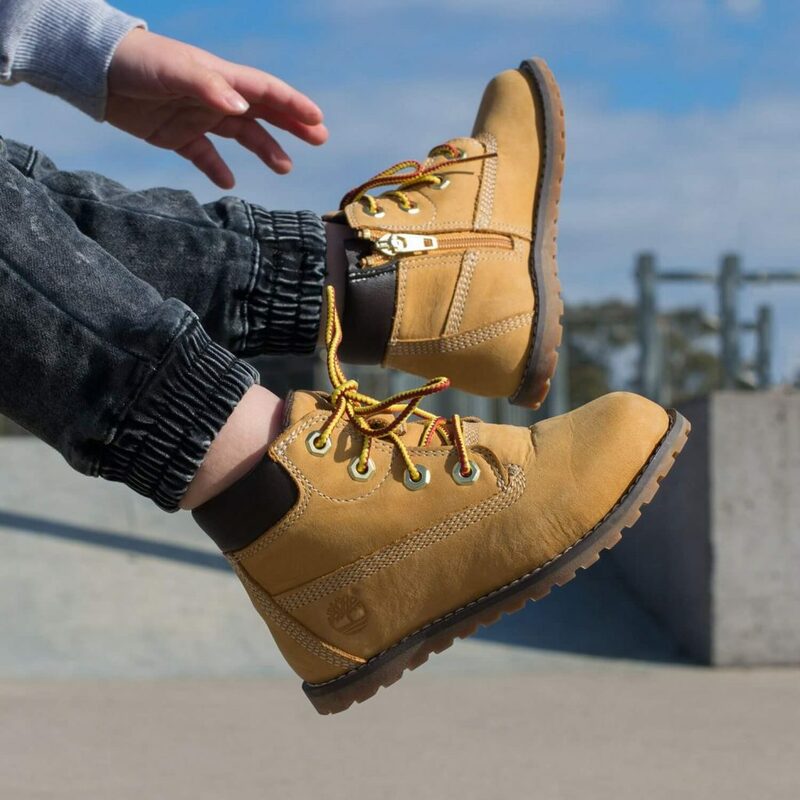 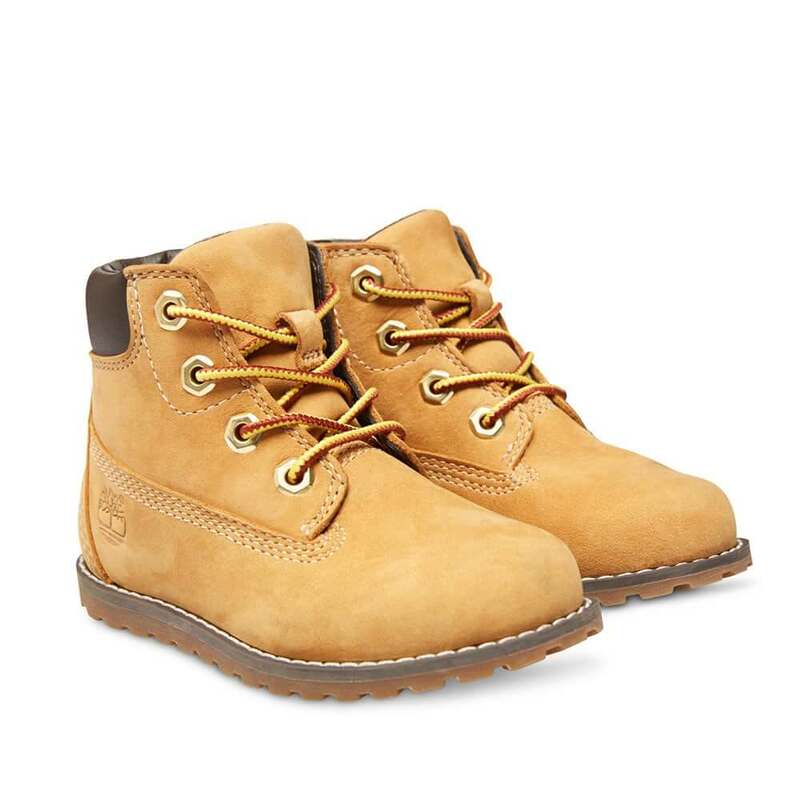 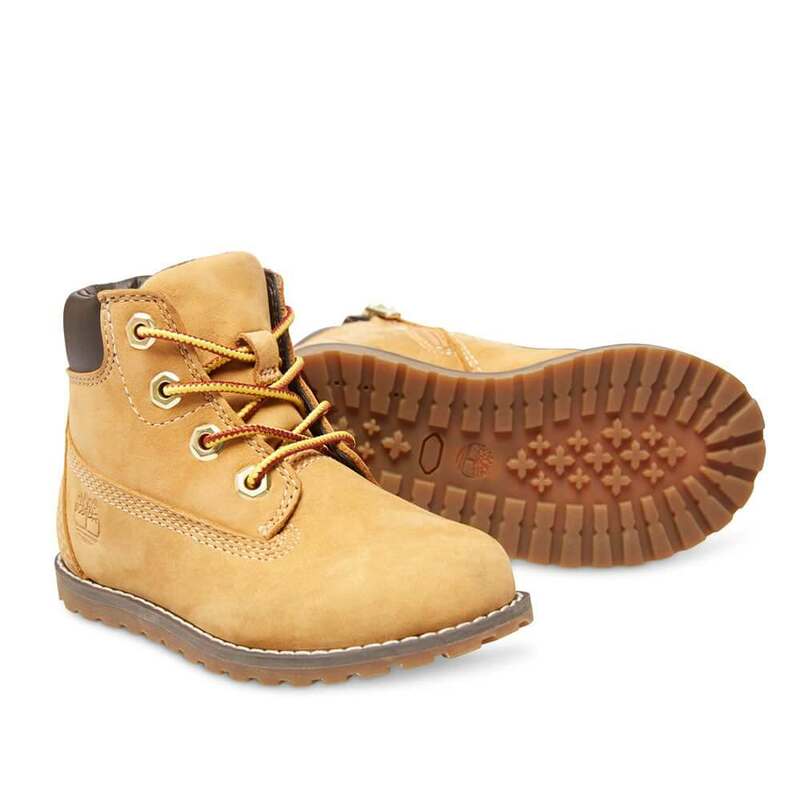 The Pokey Pine shoes from Timberland are your classic wheat/tan colourway, and are made with with a premium nubuck leather upper that is waterproof. 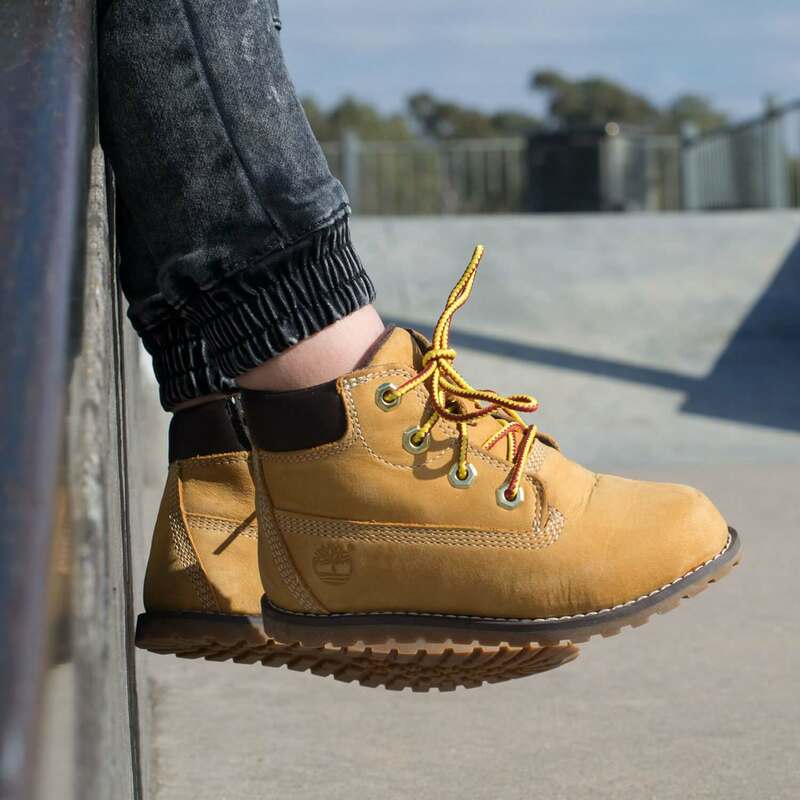 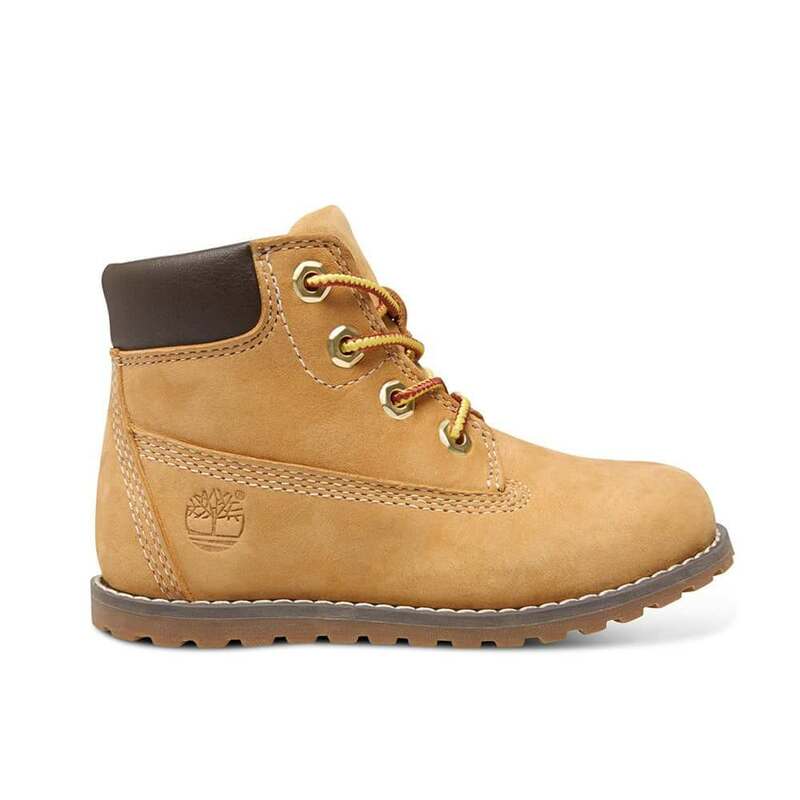 The iconic Timberland branding is on one side of the shoe with the classic dark brown leather padded ankle cuff. 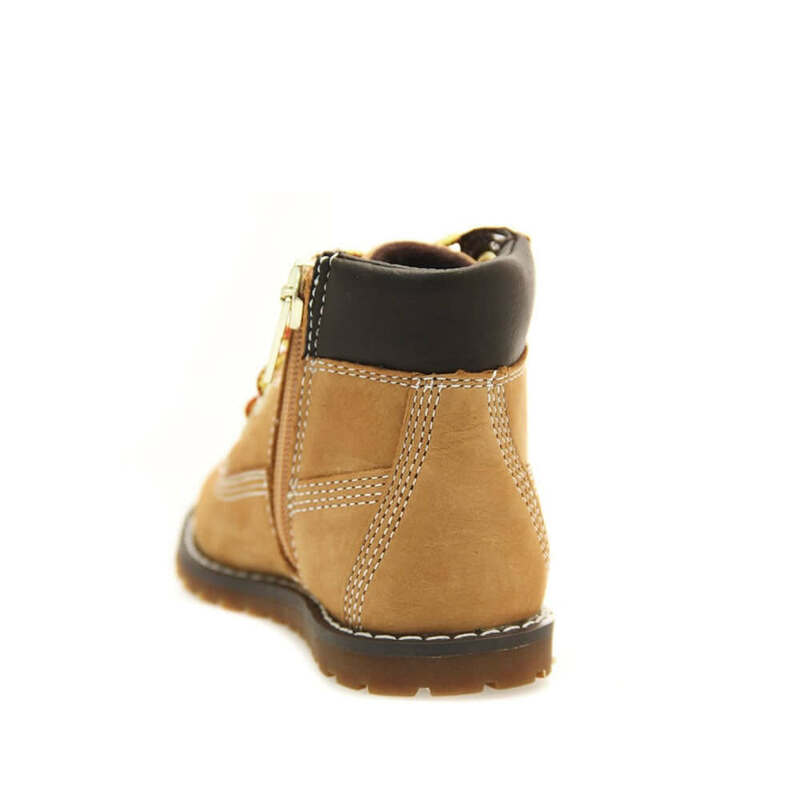 These boots are breathable and have an anti-odour Ortholite footbbed to keep maximum comfort. 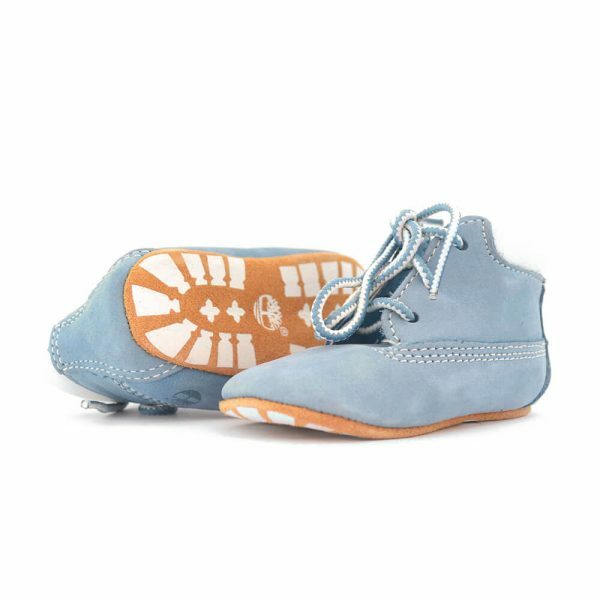 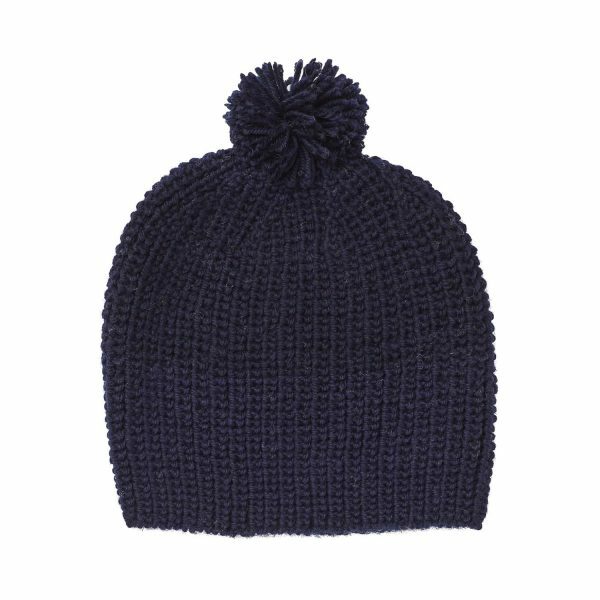 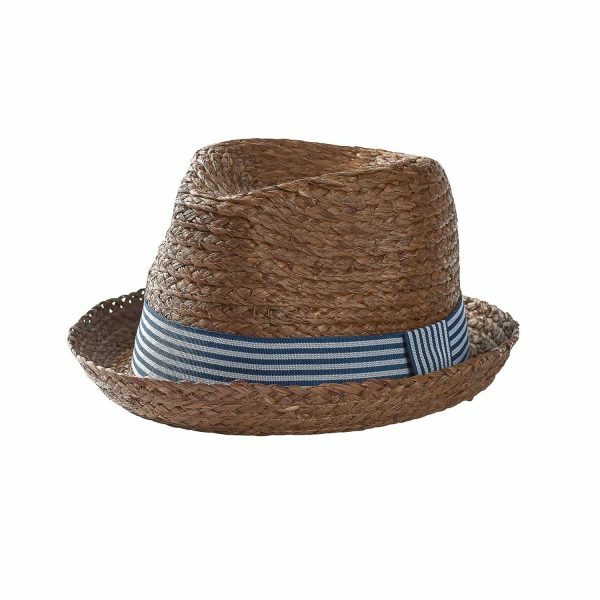 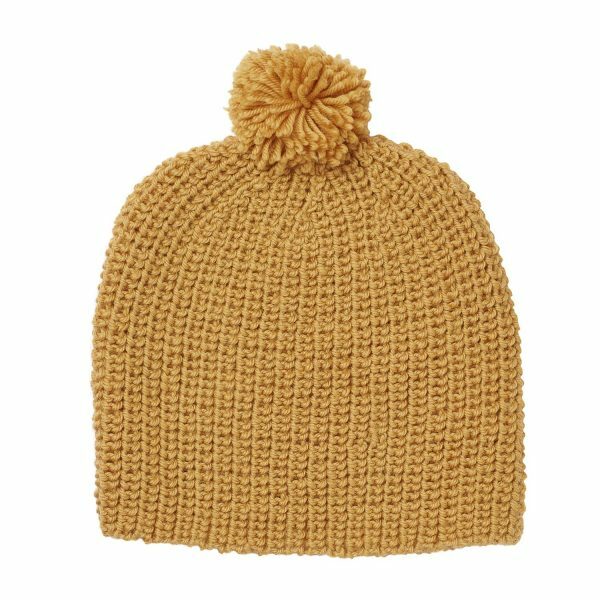 They have an easy side zip to pull them on and take off.